Keep your desk clean and clutter-free. 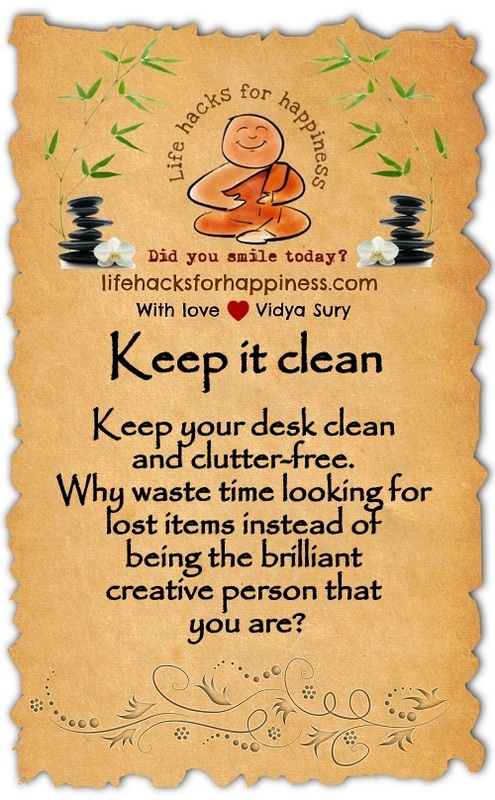 Why spend more and more time looking for lost items instead of being the brilliant creative person that you are? Clutter is a huge energy drainer. Congrats on being up to date with your posts.